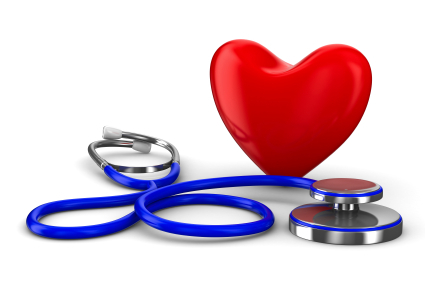 Yes, it is possible to qualify for term life insurance with high blood pressure. As for the cost of life insurance, it will depend on how well controlled the blood pressure is and your average readings over the past one to two years. It’s important to distinguish between having controlled and uncontrolled blood pressure. In both cases, you may be able to qualify for guaranteed term life insurance coverage, but all things equal, you’ll pay less if your blood pressure is controlled. Controlled simply means you’re taking a medication or having some other form of treatment. Can I Qualify for Term Life Insurance if I Take Medication? Yes, if your pressure is controlled. Many people call us and tell us they have high blood pressure and are being treated for it. Upon further questioning, we find their most recent readings are normal. These are excellent candidates for preferred life insurance ratings, since these people don’t really have hypertension anymore; they have controlled blood pressure with treatment. However, not all life insurance companies offer their best term life insurance rates if you take medications for hypertension, as seen below. There are many life insurance companies who will not only offer term life insurance with blood pressure treatment, but some will even offer their best available ratings if it is treated and has been stable for at least a few months. Some of these companies are Genworth, Banner Life, and Transamerica. Transamerica is a bit odd in that if you’re 49 years old or younger, or over 81 years old, you can’t qualify for their best rating, Preferred Plus. You must be between the ages of 50-80 years old. The key is to find a life insurance carrier who states in their underwriting guidelines their maximum blood pressure readings allowed “treated or untreated”. If they don’t state that they allow treatment in a specific health class, then they don’t allow treatment. Many companies state that they do NOT allow blood pressure medications in their best classes, such as Prudential/Pruco and ING/Reliastar. If you apply to Prudential or ING and take meds for Blood Pressure, you cannot qualify for their best rate, Super Preferred. Their Super Preferred guidelines state “No history of treatment for hypertension”. Prudential’s “Preferred Best” guidelines read “Without Medication”. Both of these companies do allow treatment in their second best class, however. Another company who I really like, but doesn’t allow treatment inside of their best class is West Coast Life. An individual with controlled blood pressure sharply contrasts the individual who simply has high blood pressure, and isn’t treating it in any way. If you’ve been diagnosed with high blood pressure, and you don’t do anything about it, you probably won’t qualify for the best life insurance rates. “But I don’t take any medication!” — I hear this one all the time. Life insurance underwriters would actually prefer that you do take medication and get your blood pressure under control, than to let it go unchecked. If you are trying to control it with diet and exercise, it’s best if your doctor is on board and has noted this treatment in your medical records. Your best bet to find preferred rates for term life insurance with high blood pressure is to follow your attending physician’s recommendations to a tee. Life insurance underwriters are not amused by individuals taking matters into their own hands, and going against their doctor’s prescribed treatment plan. Total compliance should be your goal. What if I have Other Health Impairments? While high blood pressure does put an individual at greater risk for strokes, heart disease, artherosclerosis (hardening of blood vessels), and kidney disease, we have already determined that insurance companies will still offer low cost term life insurance with blood pressure. However, this assumes there are no other medical risks involved. If you’ve had a history of heart disease or diabetes, and have high blood pressure (controlled or uncontrolled) on top of that, your odds of qualifying for preferred rates are very low. If you smoke cigarettes or are obese, your mortality risks are greatly compounded with high blood pressure levels. So, it’s important to understand that when I say you can qualify for preferred rates with high blood pressure, this assumes all else is normal health wise. Term Life Insurance for Males? We have found over the years that many of the medical conditions that plague men, such as heart disease, high blood pressure, and diabetes, are conditions we have been very successful at helping people with. Since insuring individuals with these particular health risks has become a specialty of ours, we do end up writing more men than women. But yes, we do provide coverage for males and females. So if you are a female with high blood pressure, everything in this article will apply to you as well. Once you have used our instant quote form on the right, you may click one of the “request application” options, which will prompt a call from myself or one of our representatives. Most applications require a brief medical exam, although we do have No Exam options as well. The bottom line is we have helped hundreds of males and females apply for term life insurance with various medical problems, and are eager to help you too. Why Buy Term Life Insurance for a Non Working Spouse?